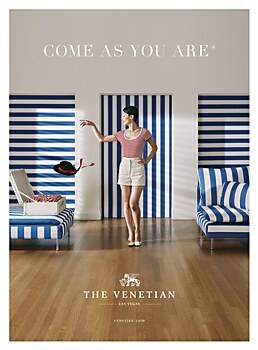 These print ads by Californian ad agency Zambezi jovially invites you to “come as you are” to the Venetian Las Vegas. Playing into the infectious sense of anticipation that guests feel as they ready to come to the Venetian Las Vegas, the campaign Come As You Are sparkles with a sense of individualism and crinkles with what the Italians call “euphoria,” a way of life evoking the vibrant, optimistic spirit of Venice. 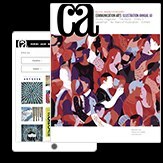 Created by Culver City, California–based ad agency Zambezi and the Venetian brand’s new chief marketing officer Lisa Marchese, the Come As You Are campaign features a TV spot directed by acclaimed director/photographer Autumn de Wilde. It pops with the tunes of iconic vintage song “Tintarella di luna,” crooned by the 1960s Italian singer Mina. The spot, together with the print ads, not only celebrates the character of each Venetian guest and the excitement of travel, but also taps into the changing definition of luxury. 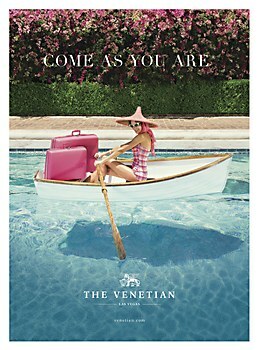 In its essence, the campaign is a jovial invitation to “come as you are” to the Venetian—again and again. This interactive Empire billboard by San Francisco–based motion design studio Ntropic reveals hidden glamour. 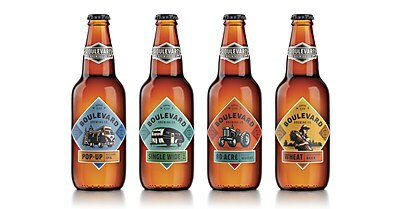 This brand identity by Austin-based studio Helms Workshop references a Kansas City brewery’s original logo. 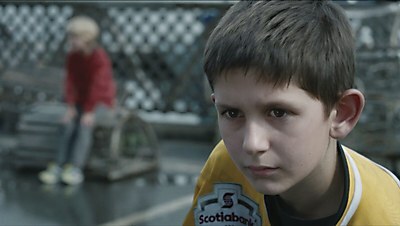 This spot by ad agency Bensimon Byrne re-creates some of hockey’s most celebrated goals—by using kids.